The perfect last minute gift with the perfect wish! Dont be fooled by the small package! 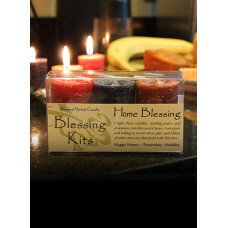 The Blessing Kits go way beyond just a few pretty colors and scents, they are our Power Votives in combinations that can change your world! These focused combinations make the perfect complement to any wish or desire you may have. 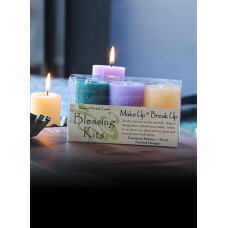 Each combination of Power Votives address the bursts of energy we need to create the life we desire. Getting right to the point, these hand-poured triads fine tune the energies with a powerful accuracy. 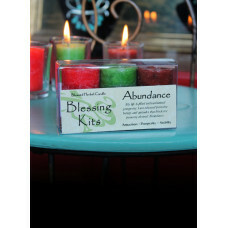 A favorite gift idea, from New Baby Blessing to Home Blessing to Abundance, your family and friends will love them! 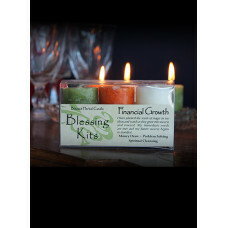 A Triad of Prosperity, Attraction and Stability votives. Votives burn for 10 hours. Abundance ..
A triad of Happy Home, Love's Enchantment and Heart. Votives burn for 10 hours. 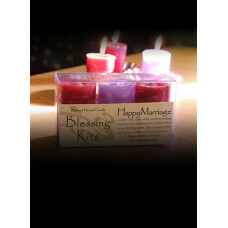 Take a hint from man..
A triad of Healing, Protection and Problem Solver. 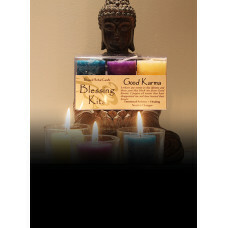 Votives burn for 10 hours._x000D_ This triad of c..
A triad of Happy Home, Protection and Stability. 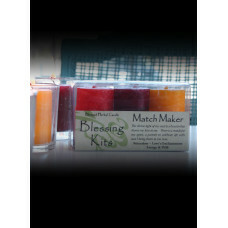 Votives burn for 10 hours. Create an atmosphere of ..
A triad of Energy, Prosperity and Happiness. 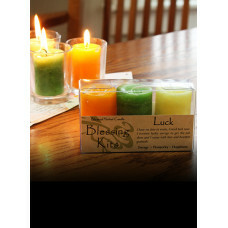 Votives burn for 10 hours._x000D_ Create your own luck ..
A triad of Healing, Heart and Spiritual Cleansing. 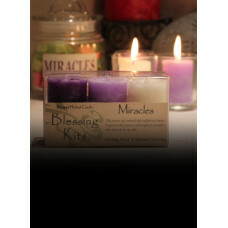 Votives burn for 10 hours._x000D_ Your miracle is..
A triad of Prosperity, Attraction and Stability. 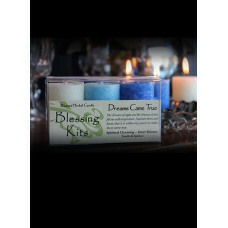 Votives burn for 10 hours._x000D_ This triad of can..
A triad of Heart, Happy Home and Stability. Votives burn for 10 hours. _x000D_ Our pets are a blessi..
A triad of Emotional Balance, Problem Solver and Stability. Votives burn for 10 hours. _x000D_ Succe..
A triad of Needed Change, Inspiration and Prosperity. Votives burn for 10 hours. _x000D_ Use this tr..
A triad of Heart, Emotional Balance and Inner Balance, Votives burn for 10 hours._x000D_ _x000D_ Whe..
A triad of Energy, Needed Change and Protection. Votives burn for 10 hours. 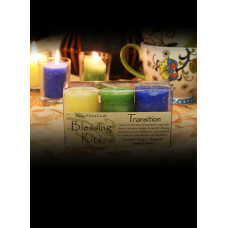 The negative thoughts, a..
A triad of Heart, Emotional Balance and Needed Change votives. 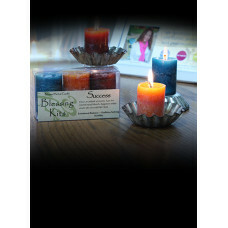 Votives burn for 10 hours._x000D_ _x0..
A triad of Attraction/Love, Love's Enchantment, and Energy and Will. 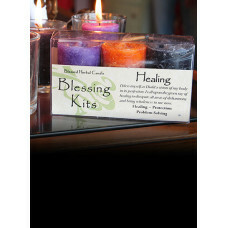 Votives burn for 10 hours._x000..
A triad of Attraction/Love, Energy and Will, and Problem Solver votives. 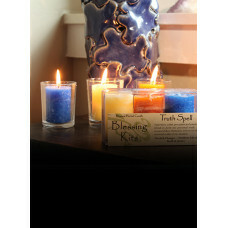 Votives burn for 10 hours._..
A triad of Needed Changes, Problem Solving, and Truth and Justice. 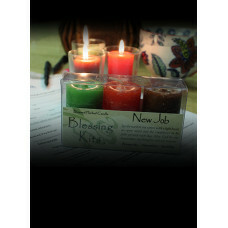 Votives burn for 10 hours._x000D_..